One of Campania’s most popular tourist destinations, the town of Positano is famous for its captivating beauty. Between mountains and the sea, the town of Positano climbs the sheer cliff side with pastel colored houses stacked one on top of the next. How a town could possibly exist in such an inhospitable environment is mystifying. And, yet, once the beauty of Positano penetrates deep into your heart, all of the questioning about why and how the buildings seem to cling to the mountains fades away. 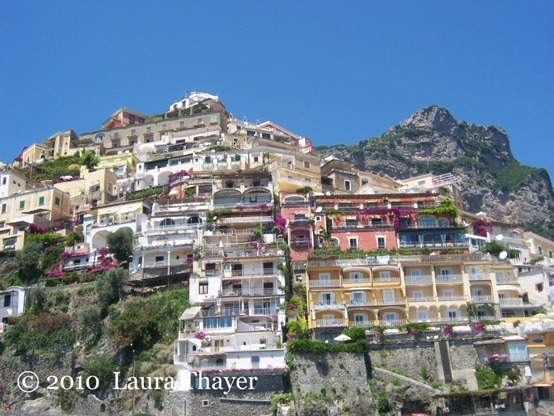 What is left is the simple joy that comes from appreciating the beauty of this extraordinary town on the Amalfi Coast. 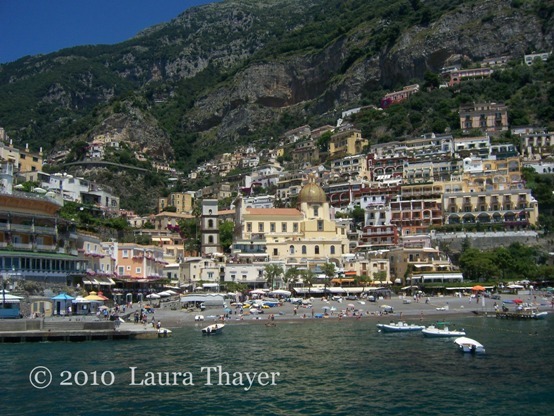 The heart of Positano is just steps away from the beach at Marina Grande. The streets surrounding the Church of Santa Maria Assunta, Positano’s largest church, are lined with restaurants and boutiques selling the town’s famous fashions. From the center of town, look up at the buildings stacked up like colorful boxes and you’ll see why Positano is known as “The Vertical City.” Standing on the beach, surrounded by the vertical kaleidoscope of colors, it feels like you’ve stepped into another world – and you have. Part of Positano’s unique charm is its relative isolation compared to other popular towns such as Sorrento or Amalfi. The road that winds its way along the mountainous Amalfi Coast passes high above Positano, and the long walk down from the road prevents many of the coach tours and day trippers from reaching the center of town. The most scenic and comfortable way to arrive in Positano is by boat from nearby Amalfi or from Naples, Capri, Sorrento and Salerno. You’ll arrive right at Marina Grande with fabulous views of the town and the Church of Santa Maria Assunta. 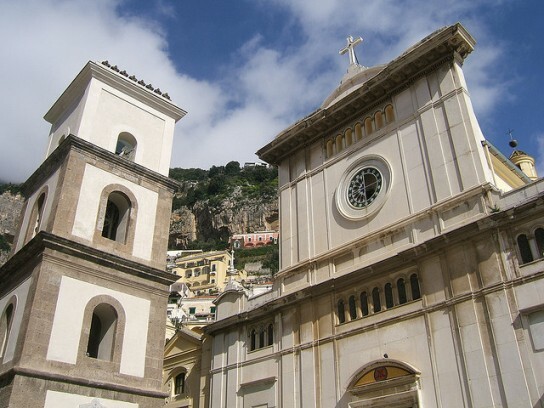 During your visit to Positano, be sure to visit the Church of Santa Maria Assunta, dedicated to Our Lady of the Assumption. The 18th-century interior of the church is filled with light that reflects off of the refined white arches and dome with their gold accents. At the high altar is a 12th-century Byzantine icon of the Holy Virgin, also known as the Black Madonna. The festival for the Assumption of the Virgin takes place on August 15th, which is an exciting time to visit Positano. 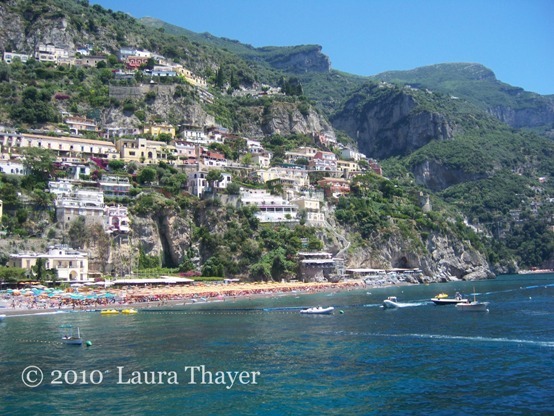 One of the best reasons to visit Positano is to spend time relaxing on its beautiful beaches. Spiaggia Grande is the town’s largest and most popular beach and is located right in the heart of town. During the summer months it is covered with brightly colored umbrellas and sun beds. For a quieter and more secluded beach experience, follow the pretty Via Positanesi d’America promenade from Marina Grande to the lovely Fornillo Beach. Set on a cove with scenic views of the Li Galli islands and a watchtower, Fornillo is a popular beach with locals. 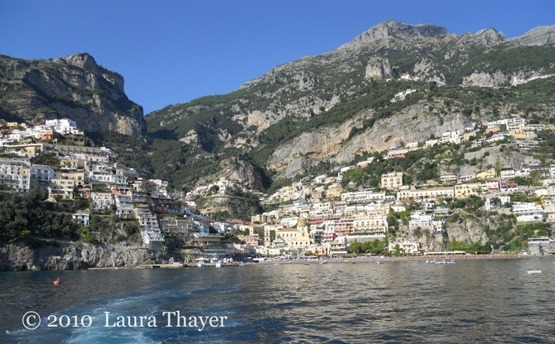 Even if you’re prepared for it, the beauty of Positano can still take your breath away. 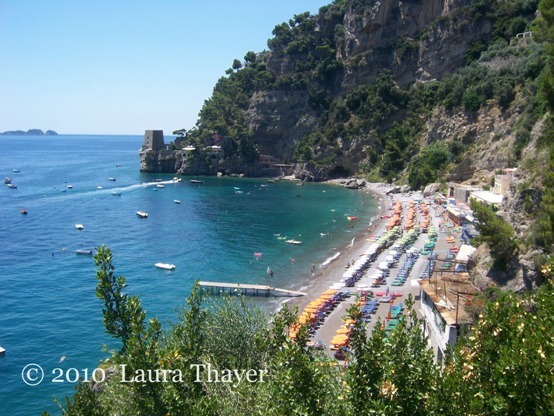 Are you fascinated by Campania and the Amalfi Coast? 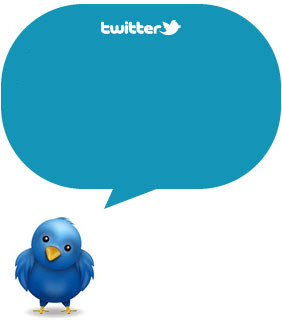 Subscribe to our RSS and follow us on Twitter and Facebook: we'llkeep you updated! !